Non-EU/EEA students enrolling in a Leiden University master’s degree programme starting September 2013 or February 2014 ( All MA, MSc and LL.M programmes as mentioned on the website Master’s programmes in Leiden, a number of programs have a start date in September only). Deadline 1 February 2013 for programmes starting in September 2013. 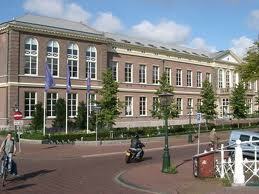 Deadline 1 April 2013 only for programmes of the Leiden Law School starting in September 2013. Deadline 1 October 2013 for programmes starting in February 2014. Early May 2013 for September 2013 intake. Mid November 2013 for the February 2014 intake. If you have already submitted your online application for admission to Leiden University, but would still like to apply for the LExS scholarship, we kindly request you to submit the LExS motivation letter to the Scholarships department (e-mail) before the deadline.